Water Polo legends: 1959: The winners of Sirens W.P.C. The team of Sirens W.P.C. 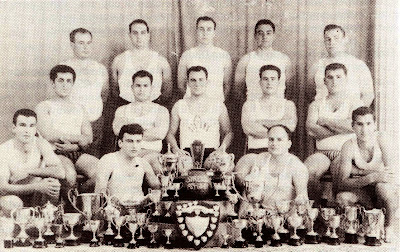 winner of the 1959, 1960 and 1961 Championship in Malta. The team: Micallef Eynaud, Triganza, Frendo, Pace, Dowing, Galea, Degiorgio.